At Hilltop Structures, we offer a variety of portable storage sheds to fit your needs. We know that not everyone is in the market for a deluxe model storage shed and all the many upgrades available. With that being said, we are happy to announce a new shed option available, the Economy Shed. This basic shed is available in 10x10 all the way up to 12x32 and is built with the same quality craftsmanship you have come to expect from us. The new Economy Shed is very similar to our Traditional Classic Shed without all the bells and whistles. By changing a few of the shed features we can offer the basic Economy Shed to our customers for as low as $1995.00 plus tax or $92.36 plus tax per month with our rent to own option. We are offering 2 styles of sheds in the Economy shed. The Standard Classic shed (A Frame roof style) and the Standard Jefferson shed (Gambrel roof style). As with all our sheds, the new Economy Shed comes factory direct with a 12-month warranty. Our portable storage sheds are versatile and can be used for storing lawn equipment and tools, pool sheds, sewing room or even a mini playhouse for the little ones. In the market for an Economy Storage Shed? 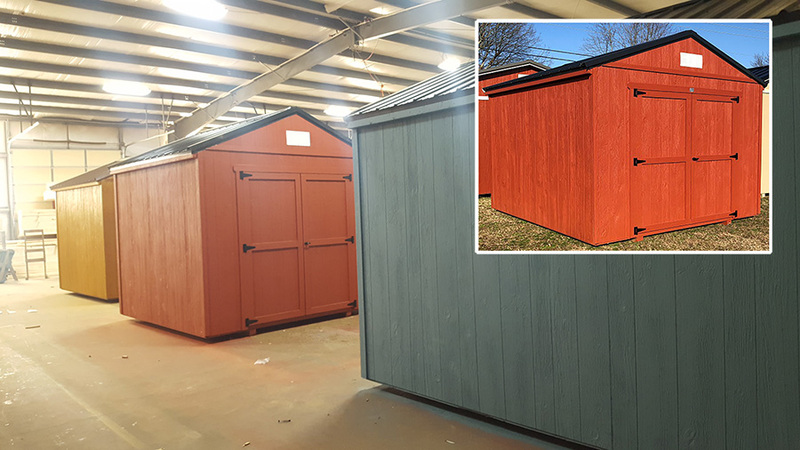 We know you have options when shopping for storage sheds so stop by our showroom and see what sets us apart from the competition. We have our new Economy Sheds in stock for 20% off the regular price. Have more questions? 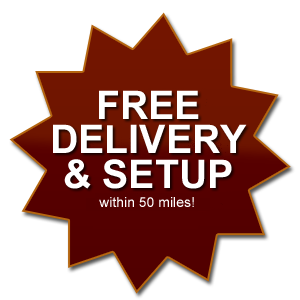 Call us today at (615) 789-0062 or complete our form to place your order or get a free quote.